Offshore wind power is a convertible wind energy source from farms across the oceans and is constantly on the rise as an alternative renewable energy. Energy specialist, Jung-seok Park, Manager at POSCO Research Institute discusses the orientation of adopting offshore wind power as he investigates beyond the world trends and considers realistic factors and issues to be addressed that may ultimately affect its trajectory. Offshore wind power is rapidly emerging as a realistic alternative in these times of upheaval to cope with climate change and transition into a low-carbon economy. Offshore winds from the ocean farms are much well-supplied in quantity than onshore winds and is relatively free from issues such as noise and environmental damage. Not to mention the ocean is a favorable domain for large-scale turbine installations and vast complex constructions. Granting these agreeable conditions, it is undeniable that offshore wind power has lacked the public recognition it deserved on the grounds that the costs are high and installations challenging. However, revised policies and technological innovations led by Europe yielded the steady growth of offshore wind market, gearing up for present-day application, not a far-fetched one. 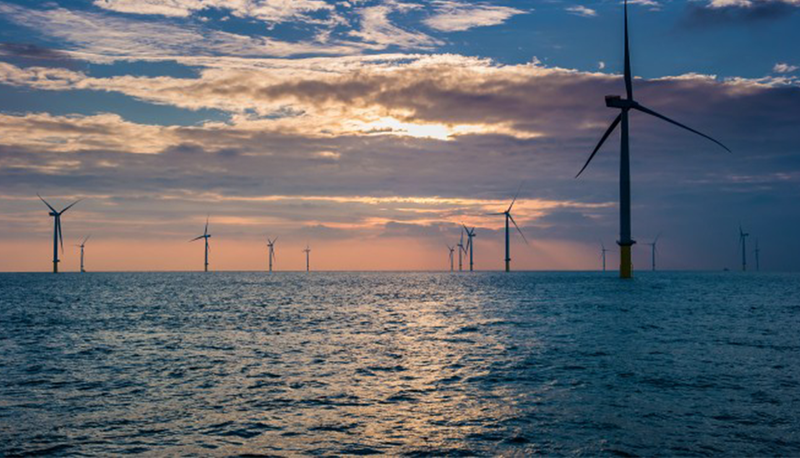 Since the construction of the world’s first commercial offshore wind farm on the Danish coast in 1991, European countries including the United Kingdom, Germany and Denmark have been dominating the offshore wind market. 26 years later, as of the latter 2017, the installed capacity of offshore wind power in Europe amounts to 15.8 GW(gigawatt: offshore wind power capacity unit), accounting for 85% of the world’s total. Even the expectation for new offshore wind station in Europe measures up to about 50 GW by 2030. This implies the capacity yet to be installed over the next 13 years will more than triple that already established over the past 26 years. As the European offshore wind market has passed into a full-blown growth period, continued investment in offshore wind power is observed beyond Europe, including China, Asia and the United States. That China is forecasted to overtake Great Britain in the next five years as world’s no. 1 offshore wind power nation is especially noteworthy. The recent spotlight on offshore wind power market is the result of the decreasing expenses and improving business conditions. As stated by the International Renewable Energy Agency (IRENA), the global offshore wind equivalent cost (LCOE: Levelized Cost of Electricity) for 2016 is $ 0.14 per kWh(kilowatt hour), about 20% lower than 2010, and expected to drop by up to 60% in the year 2022. Some main observations in Europe underpin the shrinkage in costs. In the UK, offshore wind power that is less expensive than the new nuclear power plants has emerged. Furthermore, ‘subsidy zero’ projects have become apparent in the auctions held in Germany and the Netherlands revealing that offshore wind power has boosted its competitiveness to the extent that it could secure profitability without the support of their government. Factors that drove the decline include the maturity of the value chain and the establishment of foundational infrastructure. More often than not, however, the vast expansion in turbine size and its resulting rise in capacity factor are major attributes. The average capacity of newly installed offshore wind turbines in Europe has increased from 3 MW in 2010 to 6 MW in 2017. The capacity of the largest commercial turbine currently in operation is 8 MW, and in the next two to three years will witness the onset of 10 MW to 12 MW super-sized turbines one after another. 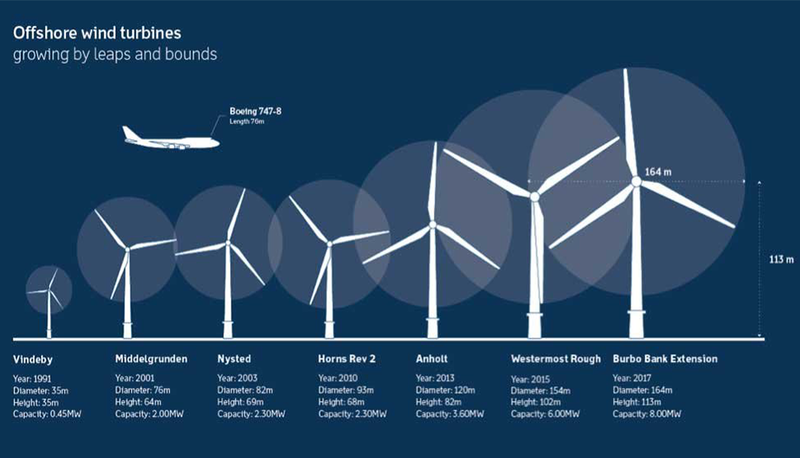 A case in point is GE’s 12 MW super-sized turbine in development, with a 220-meter rotor, reaching up 260 meters above sea level prepared to be tested for application in 2019. The capacity factor of offshore wind power is 40% to 45% but is expected to increase to 50% or higher as the installation of super-sized turbines is anticipating augmentation in the future. 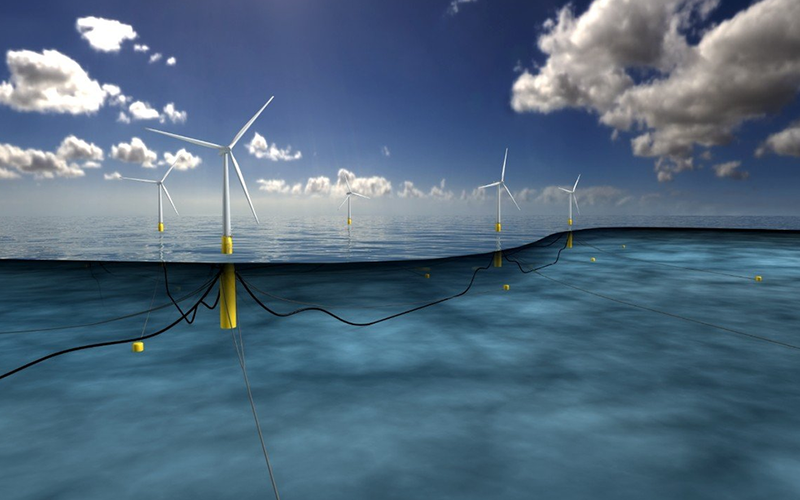 More recently, the development of floating offshore wind power has become increasingly apparent, promoting expectations for offshore wind farm development in the deep ocean, an area with constraints in installation. Hywind Scotland, the world’s first commercial floating offshore wind power project in the Scottish coast in 2017 has a maximum underwater depth reaching down 129 meters and consists of five 6-MW turbines. In the three months after this operation, the average capacity factor reached 65%, higher than the 55% of the US thermal power plants, demonstrating the possibility of constructing a large-scale floating complex of several hundred MW in the future. Steel plays a central component in the design of wind power stations. It is a predominant material that composes most of the structure of a wind turbine such as the tower and the generator, excluding only the blades. The performance of electrical steel sheets and bearing steel used in the internal structure is in direct relation to the turbine efficiency. One of POSCO’s acknowledged inventions, PosWIND, maximizes durability by increasing the content of alloying elements (Si, Mn, Cr) compared to ordinary bearing steel, enabling long-term high resistance to static and dynamic loads as well as to corrosion and damages from external forces. 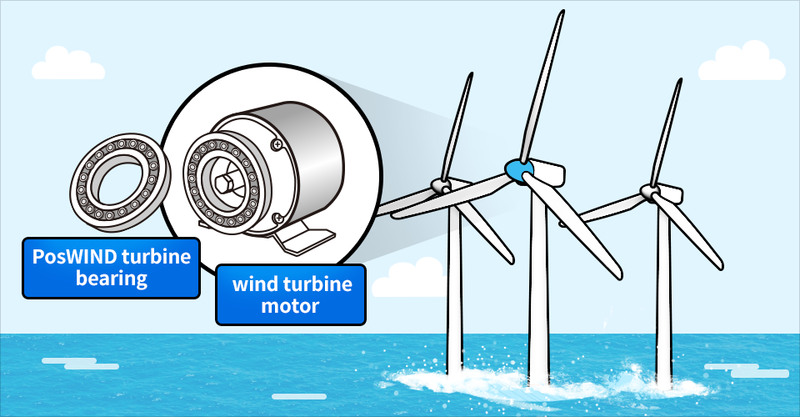 For stable support of turbines worth several hundred tons, its underwater structure must be installed to withstand strong winds and ocean waves. To tolerate inconsistent weather conditions over 20 years, its underwater structure requires key material— a highly corrosion-resistant steel of excellent quality. Amid the growth of turbine size and deepening sea levels, highly durable steel is used to increase the strength of the underwater structure while decreasing the weight, in turn, improving the logistics and installation efficiency. Europe’s offshore wind power investment continues to rise while Asia including China is drawing attention as the next-generation market. China has already secured third largest in the world while expecting to ascend as the world’s top offshore wind power nation within the next five years. Meanwhile, Taiwan has already decided on a project for its plans to install 5.5 GW by the year 2025. Nonetheless, Asia has yet to gain experience in contrast to the seasoned Europe. The fact that a sufficient number of supply chains of large turbine manufactures, installation vessels and port facilities are unavailable remains as an undertaking to fulfill.